Last month, Matt and Kirsti Scott of Scott design released the iPad version of their game “Snow Bash.” Scott Design’s game developer? None other than their twelve year old son Jack. 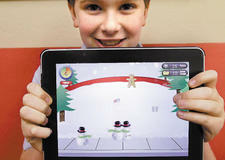 Jack is an eight grader at York School in Monterey, CA and develops apps with GameSalad. He was first introduced to GameSalad through a summer camp. For the development of “Snow Bash”, his mom created the graphics and then turned the job over him to for developing all the game mechanics. 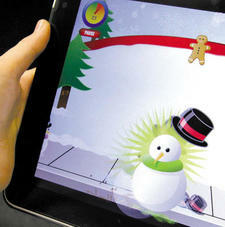 Scott Design originally began as a holiday initiative to create games as gifts for clients and friends in 2007. Now game development with GameSalad is an annual family holiday tradition.